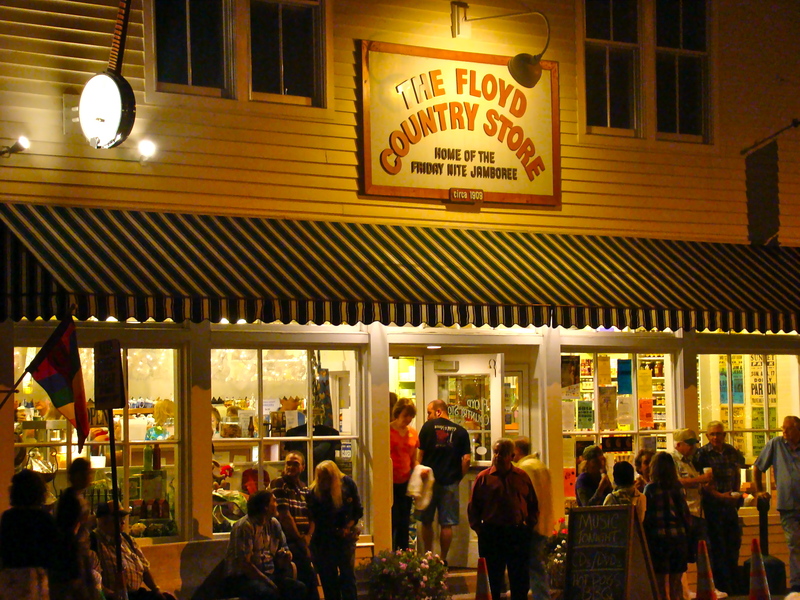 When I lived in Virginia, I used to go to Floyd twice a month to eat at Oddfellas Cantina and go to the Friday Night Jamboree at The Floyd Country Store. I've been telling Lauren about it for years and we've never had the chance to go, but, much to her delight, I finally took her to Floyd for an evening of great food and great music. If you've never been, Floyd is an interesting town. Nestled in the midst of the Blue Ridge Mountains, it has managed to embrace a couple of decade's worth of artists, hippies, and back-to-the-earth farmers while staying true to its traditions. Friday night is and always has been one of those traditions. 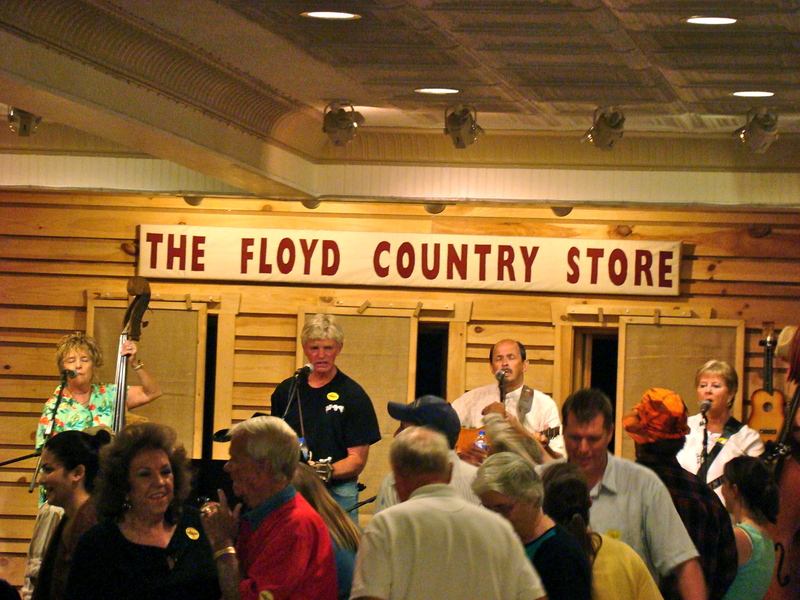 On Friday night, the farmers, artists, teen and grandparents dust off banjos and fiddles, clogs and taps and come into town for the Friday Night Jamboree at The Floyd Country Store. By day, The Floyd Country Store is a fully operating country store with a lunch counter, barrels of candy and sundries. On Friday nights, they push the racks to the walls and clear out a dance floor in front of the stage built into the back of the store. Bluegrass and Old Time musicians come from all over to perform at the Friday Night Jamboree, and everyone, and I mean everyone, dances, sways, taps and sings along with the bands. My favorite thing about it is how it brings the community together. 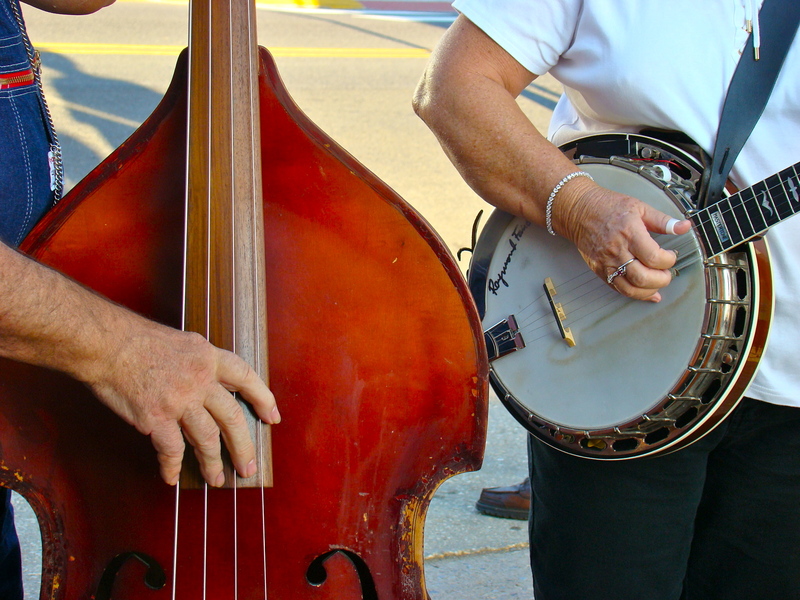 You think of bluegrass as the music of an old white man, but the dance floor at the Friday Night Jamboree says otherwise. A seemingly disinterested teen is suddenly clogging with her mother and grandmother--three generations of women cloggers keeping perfect rhythm with the bass, heel and toe taps filling the places where the drums would be. A black farmer chews his tobacco and twirls, feet flying, on his face--ecstasy as he shakes off the dust of his day. Grandmothers too frail to dance tap their feet and sway in their seats. 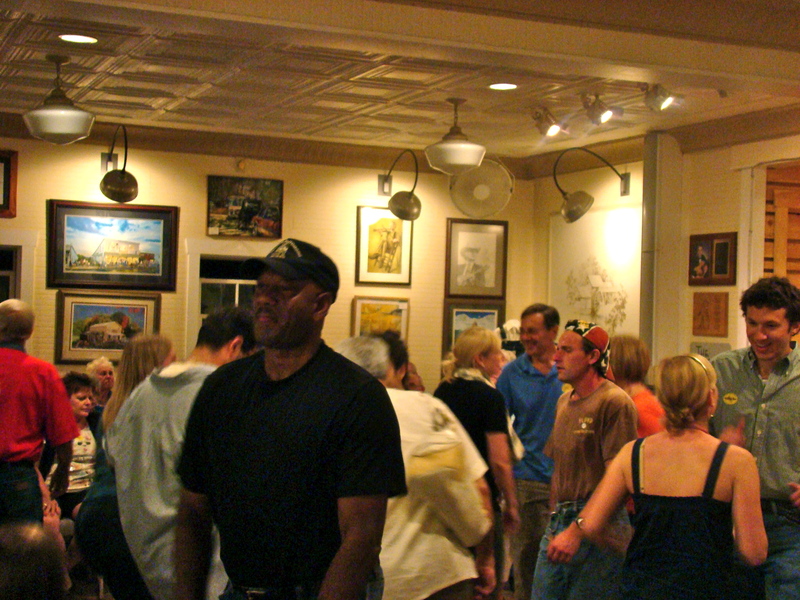 Around the walls, newcomers coax one another onto the floor for a song or two. Outside, the streets are filled with impromptu jam sessions. 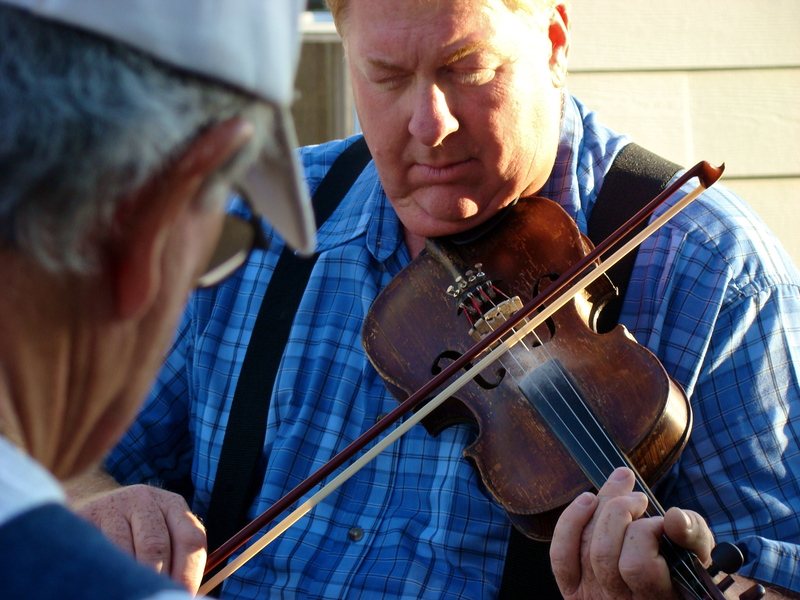 In alleys, on corners and tailgates, in parking lots and storefronts strangers stop to lend their voice or guitar or fiddle or banjo to the chorus. 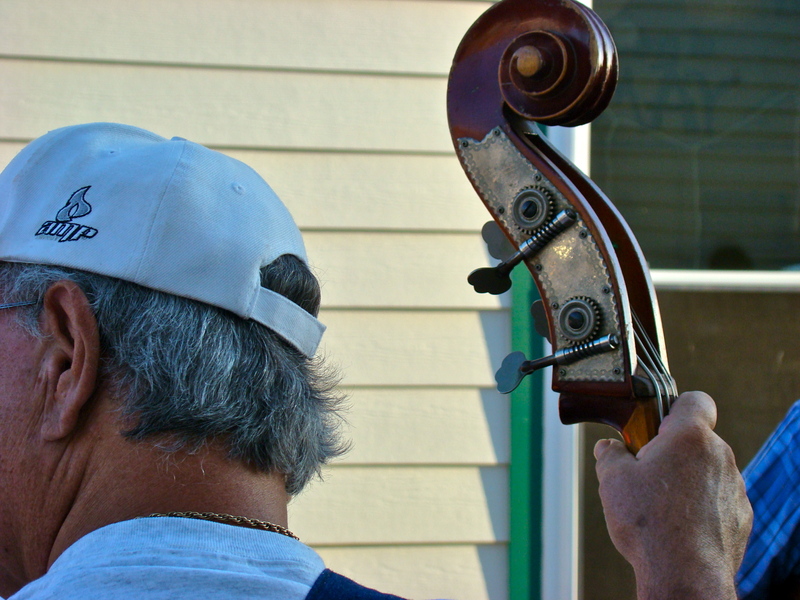 In an alley beside The Floyd Country Store, a group of musicians sing gospel hymns and pick for their own joy, nevertheless, a crowd forms and they play for ours. 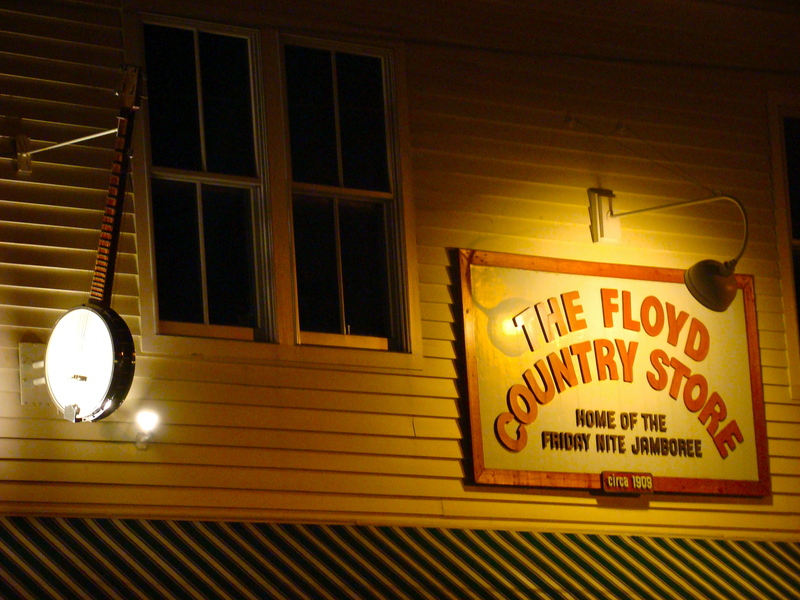 When the night finally draws to an end, The Floyd Country Store closes up shop and everyone heads home for another week and another Friday Night Jamboree.